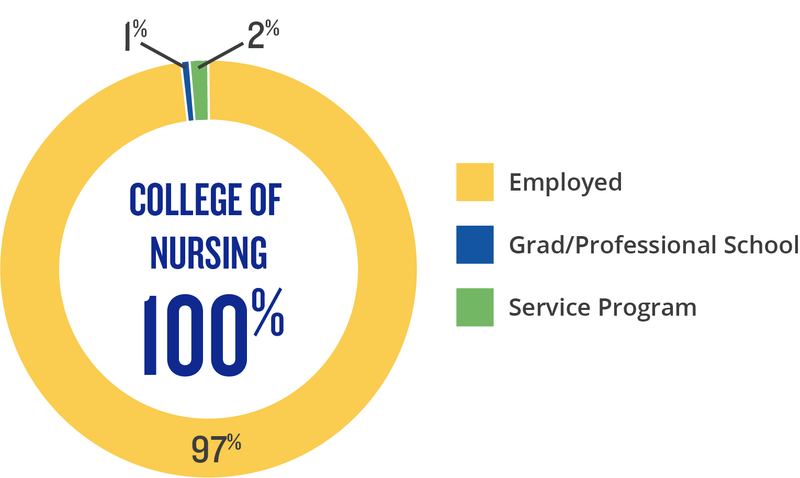 HOW WE MEASURE OUR GRADUATES' SUCCESS. Creighton graduates have an overall success rate of 98% within 6 months based on our new graduate survey with a 75% knowledge rate (2017-2018). The immediate employment and enrollment of our students into fast-track jobs and top-level graduate and professional schools is impressive.